A complex of individual villas with sea view, located on the first line to the nicest beaches of Greece. Each villa has 1 bedroom and a living room, open plan kitchen and sea view veranta. The Romanos Beach Villas belongs to the portfolio of Xenia Resorts & Villas, which operates a number of villas complexes and boutique Hotels in Greece. The complex is located in Romano Beach, in the area of Costa Navarino, next to the popular Costa Navarino hotel complex. The Romanos beach, is one of the most beautiful beaches in Greece, next to Voidokilia beach which is known as one of trademark beaches in Greece. 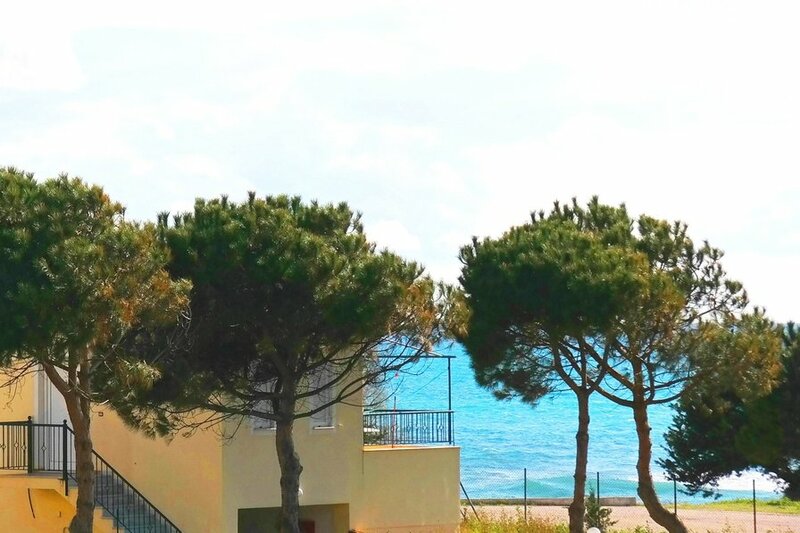 There are 6 villas in the complex, and all have sea view and theys are all completely detached from each other with parking slot and sea view balconies, located in the first line to the sandy beach. Next to the Romanos Beach Villas, there is a nice beach bar - restaurant , with sunbeds and umbrellas. Within 1 minute drive or 5 minutes walk you will find the Romanos Village, less than 10 minutes drive you will visit the beautiful seafront village of Gialova, and Marathopoli and , and 15 minutes drive is located Gargaliani, while in 45 minutes minutes the guest can visit the center of Kalamata. The airport of Araxos - Kalamata, is located in 45 minutes and it is an international airport.